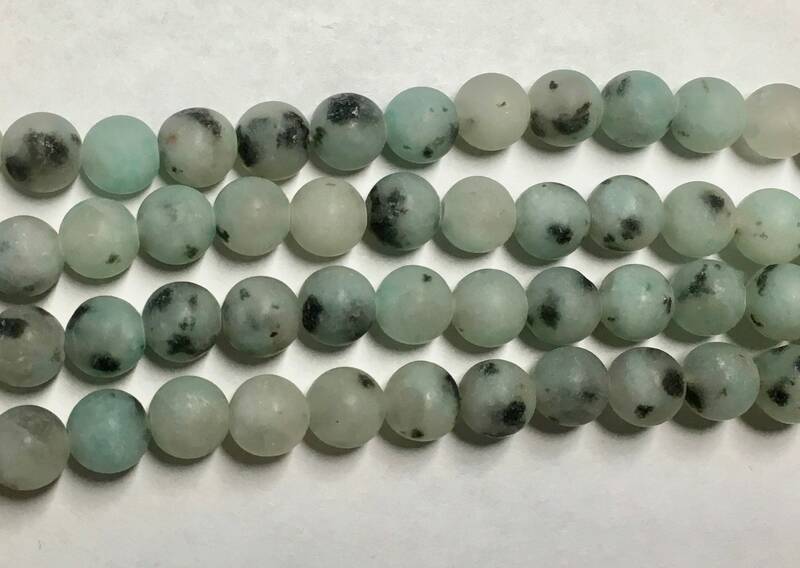 Kiwi jasper matte smooth round gemstone strands. Very light green with black speckles. There are approx. 30 beads per 8 inch strand.